I know what you're thinking: "She just *had* to lead off with this one, didn't she?! I'm trying to EAT here!!" Sorry. I discussed this back in January, and unfortunately this is a two part operation. I'm scheduled to have the remainder of the tissue grafting done next Wednesday. It shouldn't be as onerous this time. The area that needs to be done is smaller, and I'm not taking anything beforehand that will allegedly "relax me." *gentle snort* Hence, I should be able to cooperate more with positioning my mouth and thus (*crosses fingers*) have less swelling and bruising. I'm a lot less anxious about it this time, happily. It really wasn't nearly so bad as I feared last time. (a) A drum solo. These are my favorite songs to dance to. I love the precision of matching movements to drum beats. I would have to choreograph a piece, since although you can certainly improvise to a drum (and you *have* to if you are dancing with live music) with recorded music I prefer to have a routine that matches the music perfectly and captures all the accents. So this would be a bit more time consuming, although the result would be pleasing and meaningful. (b) Upbeat instrumental or pop song. I also love dancing to this type of music. It's very fun and the audience often gets into it. I could easily improvise amongst a few loosely choreographed highlighted sections. Definitely less preparation time. (c) Slow, lyrical instrumental. I don't often dance to this type of music, but it's beautiful, and I can bust out my ballet arms and lines. It's lovely and you can get very creative. I would prefer to choreograph this type of piece, but I could easily mix in some improvisational sections to save time. I could incorporate a veil or balancing, which is always a crowd pleaser. So, what should I do? I can't decide. What I've done at the 4 more recent haflas, in reverse chronological order are: (1) upbeat instrumental, (2) slower instrumental with sword balancing, (3) drum solo, (4) pop music. I do like to keep things different, and not use the same type of music again and again. Please leave your vote in the comments! Super Easy Alfredo Sauce. I made this whole spaghetti and it was a hit. Super easy, super fast, and would be perfect for a Friday in Lent. Another great meatless dish is Carrot Fritters with Yogurt Sauce. Although the kids didn't like these, Mike and I loved them, and they provided fantastic lunch leftovers. Chicken Marsala. Made this with mashed potatoes and steamed asparagus and carrots (since the children have declared war on asparagus, but I love it, so I can compromise on this one). A little bit more time consuming, but manageable, and *worth it*. It was delicious, and the leftovers have provided multiple additional meals. Homemade Chicken Nuggets. This is on the menu for the weekend, along with Sweet Potatoes and Apples. Although a decent sized memoir, I read this in just a few days, which is always the heartiest recommendation I can give a book. I LOVED it. So, so interesting. She talks about growing up in the dance world, the support of her family, moving to New York to dance at the renowned School of American Ballet and then being asked to be a member of the New York City Ballet. 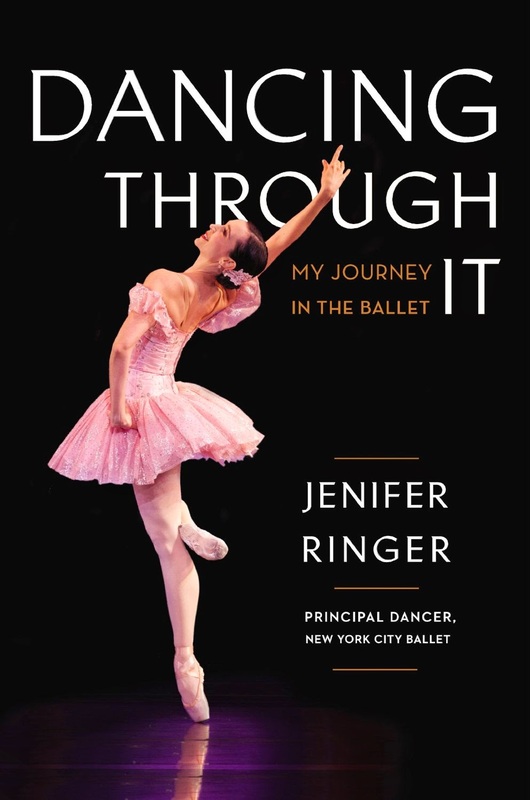 She also discusses the pressures and demanding schedule imposed by a professional career in dance, and the battle she endured with an eating disorder. Fascinating read for those interested in dance. 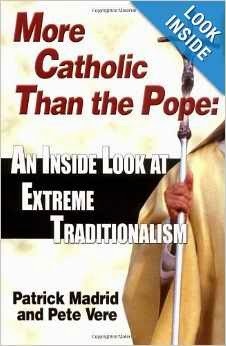 I have started More Catholic Than the Pope: An Inside Look at Extreme Traditionalism, by Patrick Madrid and Pete Vere for April's installment of the Catholic Book Club on April 23rd. It's going quickly so far. I have a more difficult time reading spiritual books that aren't a memoir or a "story" if you will, but I'll provide all of my thoughts on the 23rd. :) Check out May and June's selections on the right sidebar if you'd like to read along with the books coming up! 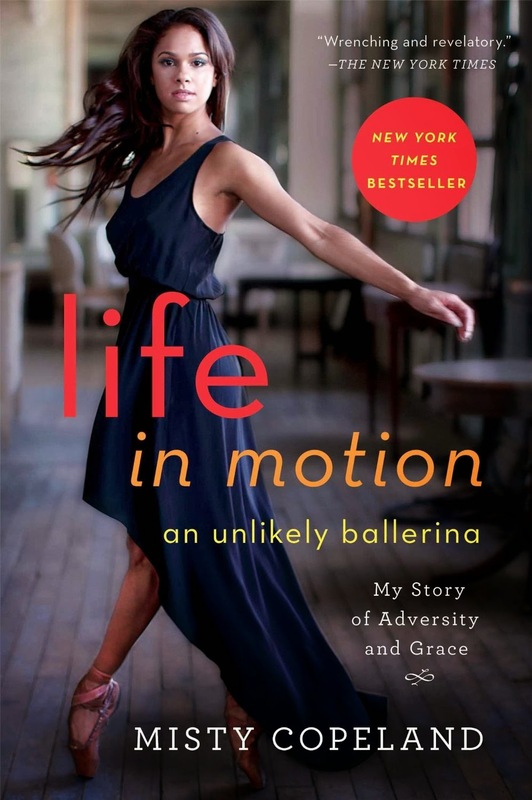 Next up on my list is a book I've requested from our public library, which is Life in Motion: An Unlikely Ballerina, by Misty Copeland. Have I mentioned that I love memoirs? And this one is about the only African American soloist in the American Ballet Theatre, a prestigious company based in New York. Sounds fascinating, no? It should be at my library branch waiting for me early next week, and I can't wait to start it. All right everyone, have a great weekend! I'll be back with you on Monday. 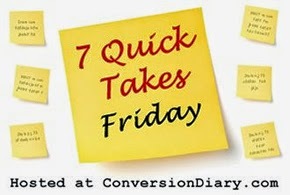 Check our more 7 Quick Takes over at Conversion Diary! oohhhh interesting! And you make a good argument. 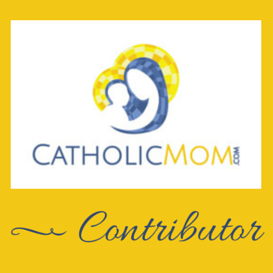 :) So glad to have you here as a reader, Ally! I vote c as well ... I love lyrical stuff!